My single biggest stumbling block to icing sugar cookies is flooding. 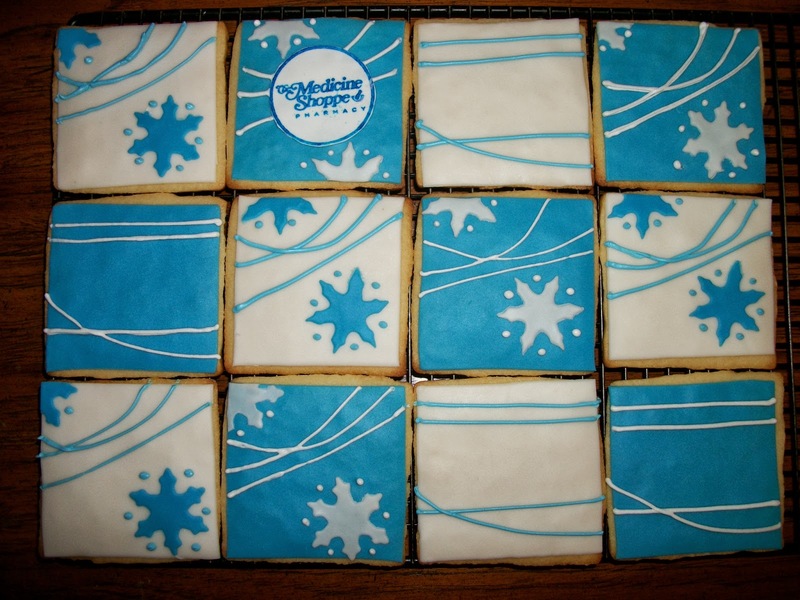 You've seen those cookies with the smooth flawless royal icing finish. It is luck of the draw for me, sometimes perfection, sometimes less. 1. 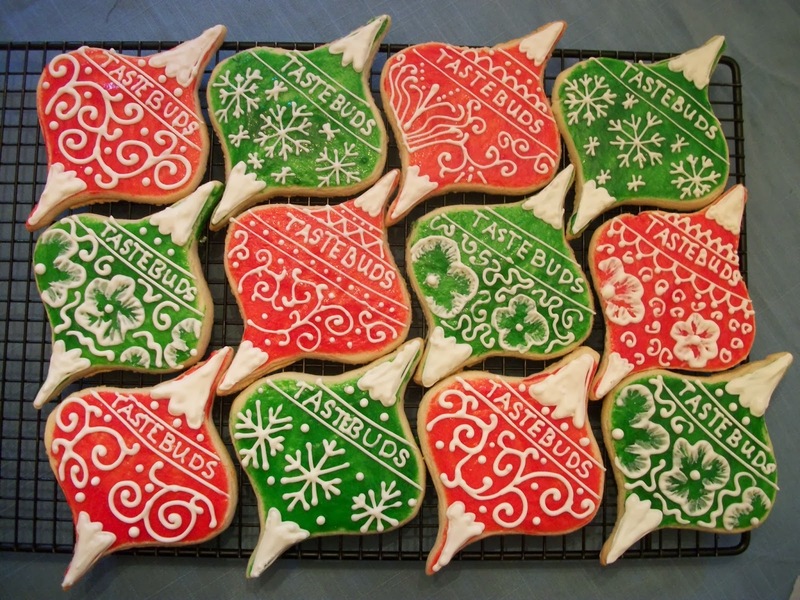 You can actually flood the cookie with royal icing. Sweet Sugarbelle has some great tips on how to do this. 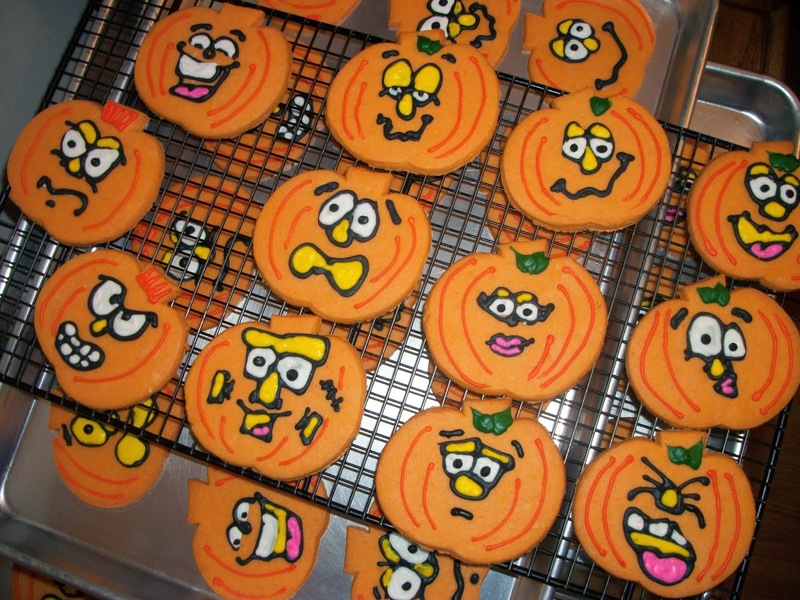 When I can get the right consistency of icing and have the patience to flood a cookie, it is magic! 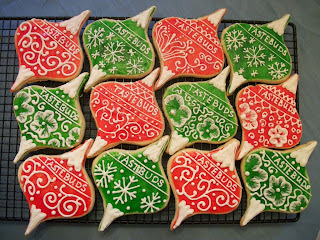 These little apothecary cookies turned out super nice. I made a 100 in one setting and was pleased with the outcome. 2. 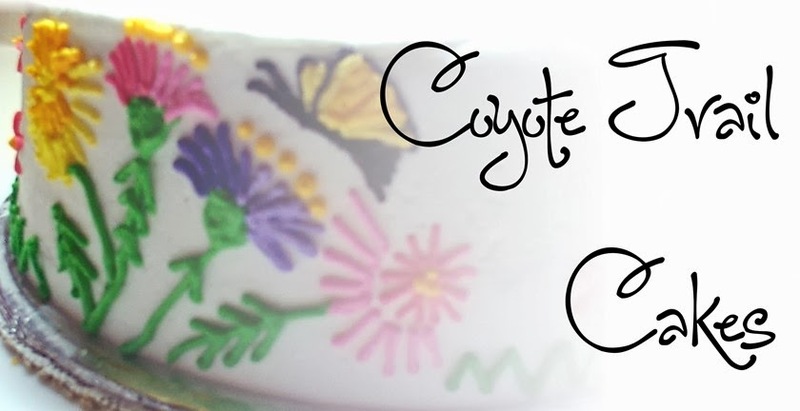 Another great way to achieve that fabulous smooth background color is fondant. Cheating? Maybe. But it is awesome. If you use a fondant smoother on your cookies when they are just out of the oven, you can gently smooth out any bumps before you attempt to cover your cookies. Oh yes, be prepared to place the cut fondant on a hot cookie and you won't have to add any other icing to glue it together. 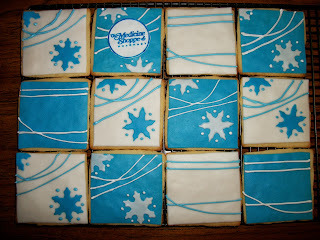 I love, love, love the way these snowflake cookies turned out. I was able to add some royal icing piped lines to accent the fondant details. Super clean and polished. 4. Finally, and I can't believe it has taken me years, Years, to figure this out: color your cookie dough. <face palm> For some reason the thought occurred to me last night to just color the dough. Duh. I made the royal icing transfer faces a day before to let them dry. Then attached to the cookies as soon as they cooled with a little dab of royal icing for each piece. I piped on a few additional orange line to mimic pumpkins and tah-dah. I think I might try this again and use a really thin powdered sugar glaze to add a little shine to the cookie before piping the details.